This week’s encounter is April Fool’s Gold, in which the characters are accosted by a pair of satyrs who want to fleece them for every last copper they have. They spin a grand tale of wealth resting within a waterfall cave, and tell the characters of the maddening, maze-like tunnels within, as well as the restless, greedy spirit that haunts its depths. And though the spirit is just a part of their ruse, the pit traps they dug throughout the loamy cave are very real—as are the noisome earth elementals that the satyrs disturbed by digging pits and excavating the stones of this cavern. Finally, even if the characters see through the satyrs’ ruse, they find that the treasure they were promised is not gold at all, but mere pyrite: fool’s gold. It’s okay to trick your players, but try not to do so thoughtlessly. Fairy tales and folklore from every culture on Earth are chock full of tricksters who try to pull a fast one on the heroes, just as real life is filled with charlatans and confidence men. In Western folklore, this is best exemplified by the fey—in this case, by a pair of satyrs. However, fairy stories like this are often fun to read because the audience enjoys seeing prideful characters get their comeuppance, or because they like to see overconfident charlatans try and fail to outwit clever heroes. Neither of these things are guaranteed in an RPG. If the players don’t catch on to the trick fast enough, or the dice revolt against them, they may find themselves in a fairy story with no moral, in which a noble hero is well and truly fooled by a trickster and no justice is ever meted out. If you and your players love going beyond conventional stories and don’t mind getting duped, then proceed into this encounter with all haste! However, if your players like straightforward adventures and feel like the DM tricking them is against the spirit of the game, then this isn’t the right encounter for them. Being tricked can feel like a betrayal of the trust established in the (often unspoken) social contract of tabletop games. A trap or two in a dungeon is one thing, but an encounter predicated entirely on tricking the players and their characters is another. If you don’t know how your players will react to being duped like this, you should talk to them beforehand (possibly in a Session 0). If you have this discussion, try to have at least one straightforward adventure between discussing the possibility of tricks and running this encounter—just to throw your players off the scent. This encounter is suited for 1st-level characters, and may lead to a combat encounter. While exploring the foothills a few days’ trek from a small village, a pair of satyrs stumbled upon a cave filled with glimmering gold stones. Though they were initially ecstatic at the discovery of a cave filled with gold, they quickly realized that this cave was filled with naught but pyrite: fool’s gold. However, these trickster fey were no less delighted at the discovery of these worthless stones, for they knew that they could pull all sorts of marvelous pranks on easily duped humans. The fey brothers dreamed up a trick to play on adventurers passing through the foothills, and the characters will be the first—and perhaps only—victims of their ruse. The satyrs have drummed up rumors in the nearby village of the cave being haunted and filled with lost gold. Once adventurers come to explore, the satyrs plan to offer to guide them to the gold, in exchange for safety from the haunting spirits within. Their only stipulation is that the adventurers pay for their protection up front. One of the satyrs possesses a set of pipes of haunting, which he uses to fill the cave with eerie noise. The other satyr possesses the ability to create illusions. Together, the satyrs mined out a few handfuls of the fool’s gold and enwreathed them in illusions to sell their ruse, and dug several pit traps in the soft, loamy soil of the cave to trap the adventurers and keep them from pursuing the satyrs as they flee with real gold in hand. However, unbeknownst to them, their excavations accidentally awakened several minor spirits of elemental earth that called the cavern their home. The satyrs left the cave before realizing what they had done, and have no idea that there are actually restless spirits of a sort inhabiting the cavern. The characters come to the satyrs’ cave after either hearing rumors of its gold and its hauntings in town, or simply by stumbling across it while wandering through the wilderness. Once there, one satyr regales them with stories of the treasure and danger within, showing off pyrite from within the cave enhanced by a minor illusion to resemble real gold, while the other satyr makes eerie noise drift from the cavern with his pipes of haunting. The first satyr claims that the cave is filled with twisting passages and dead ends, and asks for payment up front in order to guide them through. If the characters fall for his trick and buy into his scheme, he leads them into the cave, where they meet up with his brother, and he guides them downward into the cave. There, in the darkness of the cave, one satyr uses the pipes of haunting to frighten the characters while the other pushes frightened creatures into a pit trap. Both saytrs flee with their ill-gotten gains, while characters trapped in the pit are ambushed by earth elementals. Grimple. The eldest satyr brother can cast minor illusion at will, and can cast the following spells 1/day each: color spray, disguise self, silent image. He also has a +6 bonus to Deception instead of Performance. Nix. The youngest satyr brother has a set of pipes of haunting. At Higher Levels: If the characters are at least 5th level, the satyrs are instead green hags that appear to be human women. 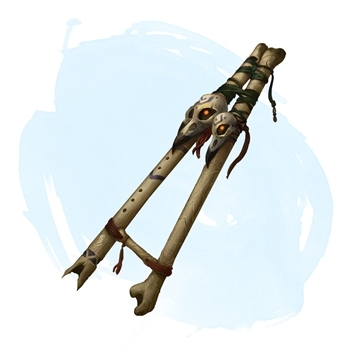 The hag Grimple masquerades as a wounded warrior, and the hag Nix disguises herself as a bard with a set of panpipes. You crest the hill and look out upon a shining lake. A waterfall tumbles down the slope of the mountain and into the lake, and the sounds of running water and chirping birds fills the air. You can also see a small, hairy man sitting on the edge of the lake near the waterfall, dipping his legs up to the knee in the water. The short, hairy man leaps to his feet—and you notice that they are not feet at all. Though he has the torso of a hirsute man, he has the shaggy, hooved legs of a goat! This satyr ambles towards you and bows deeply. “Greetings, travelers!” he exclaims. “My name is Grimple, and boy, do I have a story for you!” The satyr reaches into a pouch and flourishes his other hand dramatically over the bag. He withdraws his hand from the pouch, and opens his fist to reveal a handful of glimmering gold. As the satyr speaks, an eerie wailing noise filters distantly out from behind the waterfall. At Higher Levels: If the characters are at least 5th level, Grimple asks for 250 gold per character. Cautious Examination. Characters who suspect the satyr is lying can make a DC 16 Wisdom (Insight) check. On a success, a character realizes that the satyr is spinning a tale so elaborate, he must have ulterior motives. If the check succeeds by 5 or more, the character also surmises that the satyr is trying to scam them out of their money. Nix leaps out of the waterfall cave, and he and Grimple try to flee into the mountains. They may return here in a few weeks to try and fool some other travelers, use the coin they steal to live it up for a few days, and then hunt down the adventurers who saw through their ruse and try to beat them with another trick. This is your chance to create your own adventure. The satyrs then guide the characters into the cave. They each have five candles and matches, and light a candle to hold as they explore, even if the characters provide their own lights. The tunnels are all uniformly 10 feet wide, and while the walls are made of natural stone, the floor is made up of soft, loamy soil. The satyrs try to hang around in the back of the party and encourage the characters to lead the way (“since they’re the warriors, after all”), but they acquiesce easily if the adventurers want them to lead the way. The cavern branches into two paths five times throughout the journey. If the characters chose to enter the cave without the satyrs, they may choose the wrong branch when they reach one of these intersections. Following an incorrect path eventually leads them out of the cavern into one of several river valleys throughout the foothills after about an hour of travel through the tunnel. If they are traveling with the satyrs, they take the correct path. The first fork is right, then left, then left, then right, then left. After slowly descending 300 feet over 10 minutes of travel, the satyrs stop at the edge of a deep pit. Grimple turns to Nix and says, “Wait, did you hear that?” Nix backs up against the wall and says, “What’s that sound?” Ask each of the characters to make Wisdom (Perception) checks. Any characters that attempt this check see nothing, but fail to notice Nix step into shadows and put his pipes of haunting to his lips. 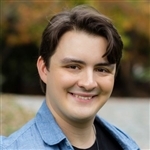 He then plays upon the pipes, and each creature in the tunnels except for Grimple must succeed on a DC 15 Wisdom saving throw or become frightened of Nix for 1 minute. Grimple cackles and says, “Nice one, chumps! Have some fool’s gold!” He scatters pyrite from his pouch on the ground, and flees. If all of the characters are frightened and one is close to the edge of the pit, he uses his action to shove one of the characters into the pit. The pit is 10 feet deep, and a creature that falls into it takes 3 (1d6) bludgeoning damage from the fall. The satyrs have no desire to fight, and flee as quickly as possible from any characters who succeeded on their saving throw against Nix’s pipes. 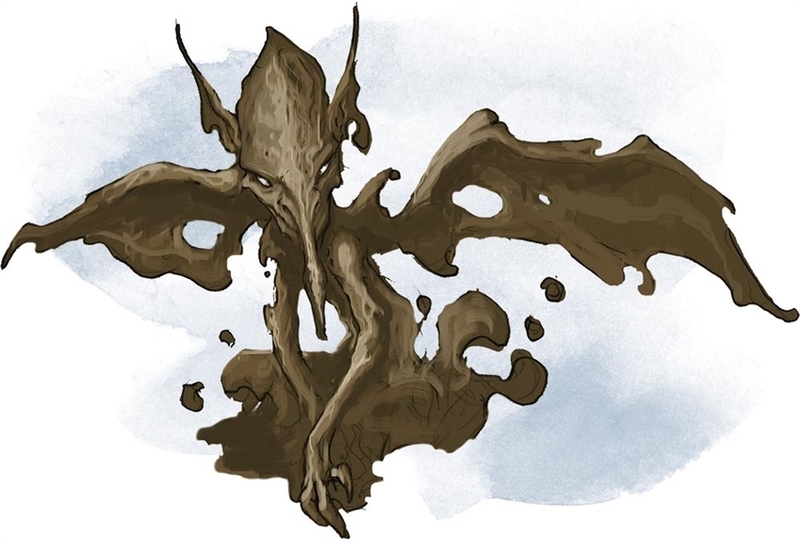 On initiative count 20 after a creature enters the pit, four mud mephits bubble out of the soft soil and attack any creature in the pit. They snort and sneeze and giggle as they do so, gleefully chanting “Get out of our hole!” over and over again. Even if a creature leaves the pit, they pursue, attacking it and its companions until they leave the cave entirely. At Higher Levels: If the characters are at least 5th level, four gargoyles made of gooey mud emerge from the pit instead of mephits. If the characters follow the cave all the way to the bottom, they find a massive outcropping of pyrite. This glittering mineral looks somewhat like gold, but has precious little use, and even less value. At Higher Levels: If the characters are at least 5th level, the hags wear bejeweled gold rings, worth a total of 500 gp, in addition to possessing the magic items listed above. This is definitely something to spring on new players to change any expectations they may have had coming in to the game. Experienced players would probably suspect the hag or something worse. Can't wait to spring this on novices. I ran an encounter a few weeks ago with bulette-esque creature that created a hallucinatory terrain within a small area that was the illusion of a Scrooge McDuck gold vault. He spewed copper, silver and gold mephit as well. Once defeated the gold turned into shards of iron. Awesome encounter, James! More fey pranks please! I know that it's just balanced for level 1 players, and those of higher levels can still play it, but 50GP is a lot for 1st level player, I also noticed it in The Hungry Xorn encounter, the gold amounts are often rather high, usually higher than adventurers have based on the DMG treasure tables. "At Higher Levels: If the characters are at least 5th level, the satyrs wear bejeweled gold rings, worth a total of 500 gp." I think you mean the hags are wearing the rings. Yeah, the main thing was just I was wondering if there's a reason, like if James Haeck usually gives out large amounts of treasure and GP to his players. Cause I was wondering about it when I read The Hungry Xorn, and than this article had another time when the players were advised to spend a significant amount of gold. Illusory Gold. Grimple is confident in his illusions, and hands the “gold” he produced from his pouch to the characters, if they wish to inspect it. A character that succeeds on a DC 16 Wisdom (Perception) check sees through the illusion, and sees that the gold nugget’s lustrous edges are actually jagged and brassy. Those would be active checks, for players that are already suspicious, and the check just representing the character confirming the player's guess? 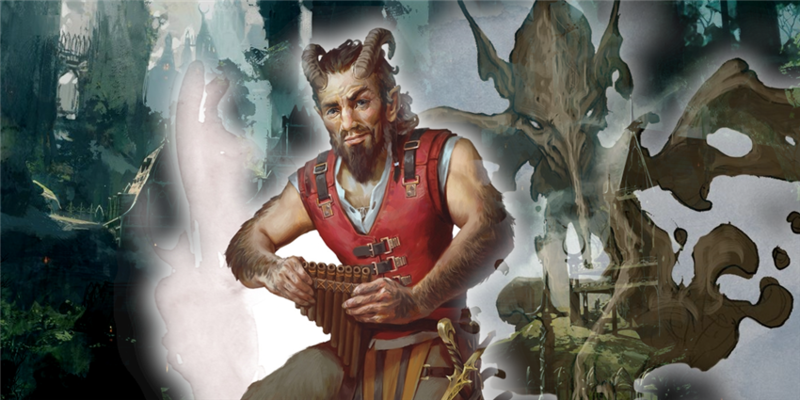 You would only call for the first check if a player says their character thinks the satyr is lying, and only make the second check if a player says their character wants to inspect the gold. Three of the characters in the party have trained skill in both Insight and Perception that would put their passive skill thresholds at or above those DC:s. They are currently at 16 in both for one, another is at 18 in both, the third has 19 in both (rogue with expertise, who also has 18 in passive Investigation). I would expect such levels could result in at least offering the players some form of a hint that one or more of their characters might have noticed something suspicious about either the deal or the gold, even if the players initially don't think to ask about it explicitly. A common problem in separation of player and character knowledge is when the character should be ignorant of something the player knows. Here the information imbalance might be in the other direction, which can be remedied by the GM properly presenting what data the character is supposed to have. I kinda want to get an AL version of this for a seasonal adventure. The local club would love this one.. plus some more seasonal events would be great. This one is crazy cool! 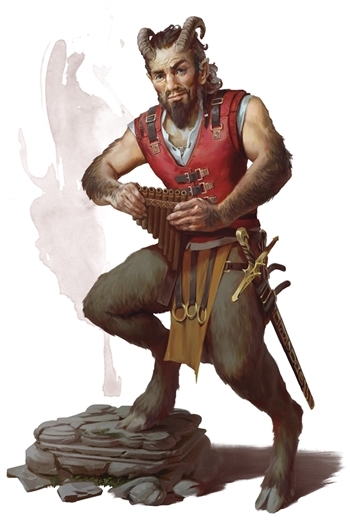 It's mentioned that players might not appreciate being duped entirely, but I feel like this could be remedied by just having the Mephits attack the Satyrs as well, perhaps trying to steal that "noisy noisome pipe." The Satyrs then sheepishly return the gold when the Mephits get bored and offer food and drink at their current hideout and an additional set of a few uncommon potions besides. In the section titled "The Waterfall Cave", on the fifth paragraph, the sentence "As each of the characters to make Wisdom (Perception) checks." should instead start with "Ask"
just adjust the price based on what you've provided the players to start. simple enough. Tricks like this can feel wrong but that sense of betrayal is softened immensely if the Satyrs can be confronted after the fact and made to talk of a real...larger reward somewhere nearby. A lie, a trick, a forgery...can all be fantastic plot hooks to greater adventure. A lie covers a masterful plan of evil. A trick can lead to the sorry tricksters actual horde (now claimed by a drake). A forgery is a fake map, but the real one exists if you can steal it. Players can usually forgive much in service of a greater story and being tricked once is double motivation to find the real reward. Yes. I agree with this. I had a DM who at the end of each arc, revealed it was all a dream.......It felt robbed, especially after the first go. But a confrontation with the one who did the tricking seems good! I agree that there definitely needs to be a clearer line there, but this encounter is built for early sessions, and would probably be best with new players who wouldn't be used to drawing that line. But for veterans, yeah, you might want to change that.